Ranchi, February 4: Jharkhand gets its first Women’s University as Prime Minister Narendra Modi made online foundation on Sunday from Jammu and Kashmir. Chief Minister Raghubar Das was present at the indoor stadium of Jamshedpur Women's College on this historic. Chief Minister Raghuvar Das said that the enrollment ratio in higher education was 10.1% in 2010-11 whereas it was 18% in the year 2017-18. By the year 2004, there were 5 government universities in the state, our government has started 4 new government universities so far, Vinod Bihari Mahato University, Raksha Shakti University, Jharkhand Technical University and Dr. Shyama Prasad Mukherjee University have been opened. After the Jamshedpur Women's University came into existence, the total number of government universities in the state will be 10, of which five have started in the University in the last 4 years. The number of private universities which have gone up to 4 in the past 4 years has increased to 15. The Chief Minister said that the total cost of this woman university is 89 crore, out of which 56 crore state government will give 33 crore of Indian government. He said that construction work will start from February and women will start working in Jamshedpur within 2 years. 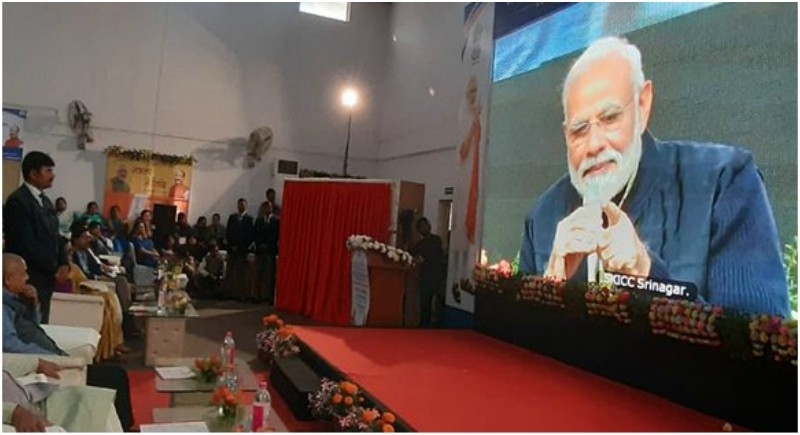 It was formally announced that the Prime Minister had made online pamphlets in Srinagar's SKICC that Jamshedpur Women College became Jamshedpur Women's University.